1. Recognition by the commissariat général au tourisme (General Tourist Board). Le lessor certifies that the rented premises comply with the provisions of the Code wallon du Tourisme (Walloon Tourism Code) dated 1st April 2010. The lessor sends two copies of this contract to the tenant, duly completed and signed. The tenant returns one copy, completed and signed by him, to the lessor, within a maximum of ten days of the date of receipt of the contract. The tenant pays the deposit within the same period. The balance is due 30 days before the contract comes into force, with the exception of late bookings, in which case the full rental amount will be paid upon arrival. If the lessor does not receive the copy of the contract which should be returned to him, or the deposit, within the stated period, he may relinquish the rental by recorded delivery, fax or electronic mail with confirmation sent by post, within eight days of the date scheduled for the payment of the deposit or the actual return of the contract signed by the tenant. If this has not been duly completed by the lessor, the tenant may, without compensation, terminate the contract, until he takes possession of the rented premises. The tenant uses the rented premises in accordance with the intended purpose and with due diligence. The lessee is obliged to abide by the maximum capacity indicated. Any infringement of this clause may entail the immediate termination of this contract, for reasons attributable to the tenant, the lessor definitively retaining the amount of the rental. When admitted, details of domestic animals accompanying the tenant must be given on the reverse of this contract. The guarantee is intended to cover all the debts which may remain payable by the tenant to the lessor when the premises are returned. In the event of a dispute the lessor may retain the guarantee, for which he will take responsibility, until liability has been clearly established. Should it be proven that the tenant is not liable for the sums claimed and that all or part of the guarantee should be returned, the lessor will owe interest, at the legal rate, on the amount finally to be returned. An inventory of the equipment in the rented premises is drawn up at the start and the end of the stay. This inventory must be signed by both parties as proof of the condition of the rented premises and the equipment therein. The tenant must return the premises in the condition in which he received them. He is answerable for any loss or damage. Any difference compared with the inventory, or any anomaly must be reported to the lessor or his representative at the latest at 10.00 am on the day after the day of arrival. 100% of the price of the stay if the cancellation is made less than 8 days before the start of the stay or if the tenant fails to appear. If the lessor cancels a reservation, the tenant may be offered accommodation of the same standard or a higher standard for the price of the reservation. If no such proposal is made, or if the tenant refuses, the lessor must refund the down payment and the balance of the amount of the stay if this has already been paid, as well as providing compensation equivalent to 25 % of the price of the stay. 90% of the price of the stay if the cancellation is made less than 8 days before the start of the stay. Compensation is, however, not due in cases of force majeure. the lessor may dispose of his property as he wishes. The early departure of the tenant, for any reason whatsoever, does not give rise to any reimbursement – even partial – of the price of the stay. Any amount due by the tenant and not paid ten days after the due date will give rise to interest, automatically and without formal notice of default, in favour of the lessor, of 1% per month as of the due date, the interest for every month begun being due for the entire month. The tenant occupies the premises with due diligence. He assumes responsibility for the rented premises, the equipment and the land placed at his disposal. He reimburses the lessor for all expenses incurred through his doing and undertakes to report any damage caused. By renting the accommodation, the tenant is obliged by law to return it in the condition in which he received it, including in the event of fire (Articles 1732, 1733 and 1735 of the Civil Code). If need be (see special terms and conditions), the tenant takes out COMPREHENSIVE FIRE insurance to cover his tenant’s liability, for both tenant’s risks (the building), and the contents (furniture, etc.) placed at his disposal. These risks may be covered by the “holiday” extension of the tenant’s FIRE insurance policy. The tenant is asked to contact his insurer to check his contract. The tenant, his heirs or his right claimants, in any capacity whatsoever, are jointly and severally liable for the obligations entered into under this lease. The tenant undertakes to adopt behaviour that respects local people and the environment in general: fauna, flora, various facilities, etc. 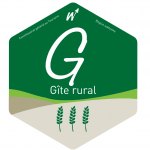 If agreement cannot be reached between the parties, they will submit their grievances to the secretariat of the Gîtes de Wallonie, which will endeavour to put forward a solution out of court. Should this not prove possible, the courts of the legal district of the place in which the property is located have sole jurisdiction.